The latest version of the Internet Explorer browser has been made available by Microsoft for its older Windows 7 OS. This free update can be downloaded from here, however Windows 7 users with auto-update turned on should receive the option to install it as an automatic upgrade. The latest version of IE should run faster, support more web standards and includes new developer tools. 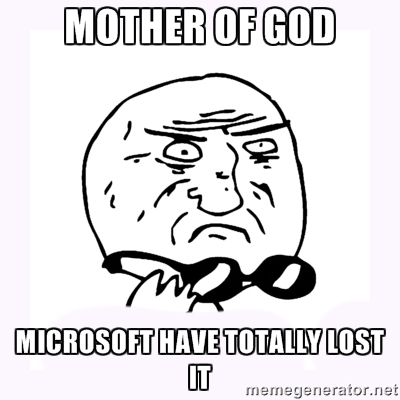 Meanwhile users of older OSes like Vista or XP can’t upgrade past IE9. In other IE news the browser now has its own “anime personification,” in the shape of a young lady called Inori Aizawa. IE11 has been made available globally for Windows 7 users. The headline improvements over the previous version of IE include the “performance, security, privacy, and reliability that consumers enjoy on Windows 8.1,” it’s also optimised for touch. 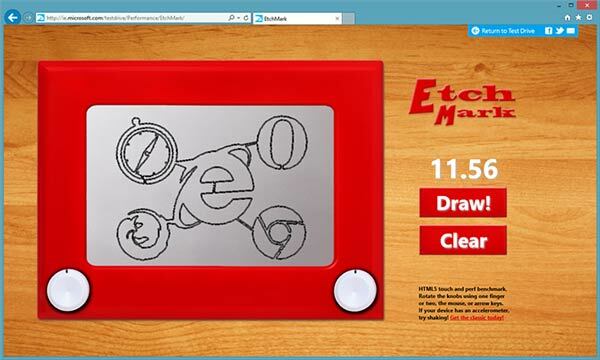 Redmond suggests you try out its EtchMark browser etch-a-sketch benchmark, pictured above, available here. This single web page uses “a broad range of technologies available to developers in IE11, including HTML5, CSS3, SVG Filters, touch, orientation events, pointer events, power efficiency, and more”. Niftily you can shake your device to start your sketch anew - if your Windows machine has device orientation support. “Hey everyone! My name is Inori and you can think of me as a personification of Internet Explorer. When I was younger, I used to be a clumsy, slow and awkward girl. However, just like the story of ugly duckling, people told me that I have really matured and changed over the years. I feel confident in my abilities now, and I'm eager to show you what I can do. You can choose from the daily updated 'Canary' or weekly updated 'Developer' builds. W H A T O N E A R T H ? I S I T 1 S T A P R I L ??? This has made my day big time! I didn't expect Microsoft to pull such an Anime move. Inori looks OK and reminds me of Vocaloid's Hatsune Miku. I bet the Inori edition will have a Clippit version of Inori with AOL voice. Remember those “ You ahve e-mail ” days ? So we should be using internet explorer because of etch-a-sketch, and teenagers in short skirts? Not only has microsoft lost the plot, they've given up looking. I've suspected Microsoft let the IE team a little more loose after IE8 so they would be more free to develop faster and as they see fit but they may have become a little too unhinged. Then again, Microsoft are no strangers to this, as the OS-tan (OS - operating system, tan - a suffix denoting a character which may be cute/girly/child) meme proves. they missed a blindingly obvious initial.. I.E. use that for her initials. not I.A. just mind boggling they didn't even think of that.